The worldwide coverage of the Rob Ford crack scandal has raised awareness of Toronto, but marketing experts say it has also damaged the city's image abroad. When Toronto Mayor Rob Ford ended months of heated speculation on Tuesday by admitting to having smoked crack cocaine, he unleashed a torrent of worldwide media commentary, much of it derogatory and sarcastic. 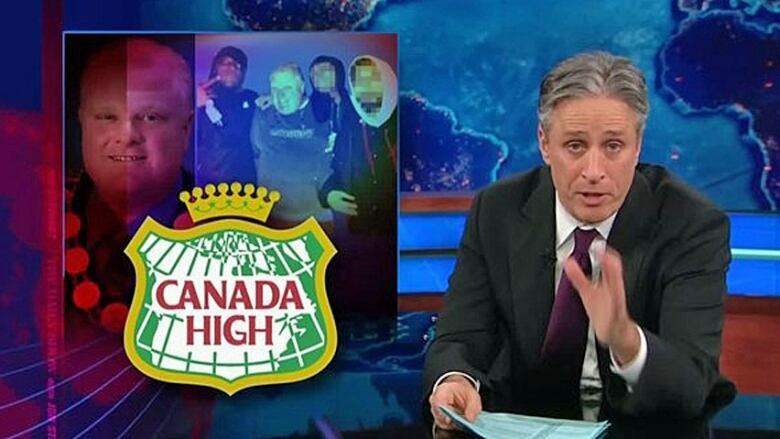 In the U.S., Daily Show host Jon Stewart ridiculed Toronto voters as “enablers." Meanwhile, his late-night counterpart Jimmy Kimmel aired a video entitled "How to Tell If Your Mayor Is Smoking Crack." It was a skit meant, Kimmel said, to "protect other major cities from going through the same kind of embarrassment that Toronto is experiencing right now." While the Ford coverage has undoubtedly raised awareness of Toronto all over the globe, marketing experts say it has also damaged the city’s image abroad. "It weakens the brand, it distorts it, and it gives us media [coverage] all over the world that is undesirable," says Gabor Forgacs, a professor at the Ted Rogers School of Hospitality and Tourism Management at Ryerson University. Forgacs says cities are "destination brands" that are always striving to align their reputation with their image. And right now, the image of Toronto is in discord, because "what you're known for is not how you’d like to be seen." Over the last couple of decades, Toronto has cultivated an image as an ethnically diverse, culturally rich, financially vibrant world-class city, says Forgacs. But that hard-won reputation is currently being overshadowed by the foibles of the city's mayor, and this kind of behaviour can introduce an element of risk for investors and people wanting to do business in the city, Forgacs says. Over the years, Torontonians have become accustomed to Rob Ford and his reputation for belligerence at city council meetings and colourful ways. But after The Toronto Star and U.S. gossip site Gawker reported in May that they had seen a video of him appearing to smoke crack, he became arguably the most famous mayor in the world. 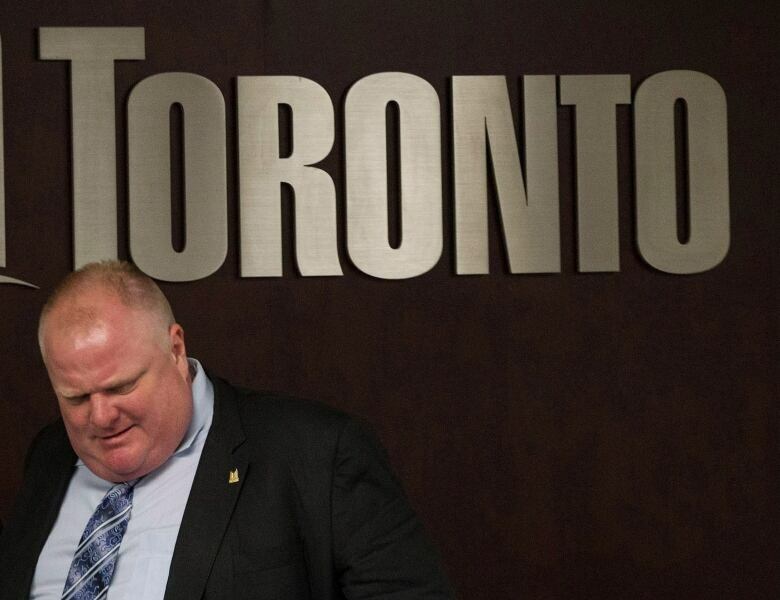 What's behind Rob Ford's 'mind-boggling' PR strategy? When Toronto police Chief Bill Blair confirmed to reporters on Oct. 31 that police had the infamous video and that it showed the mayor as depicted in media reports, the story appeared in such important outlets as the New York Times, London’s Guardian and the South China Morning Post, among many others. It also appeared in a blog post for U.S. men’s magazine Esquire, which asked, "What the Fk Is Up in Toronto?" Although the Ford scandal does no favours for Toronto’s image, most people instinctively know that it is an "aberration," says Nicolas Papadopoulos, who teaches marketing and international business at the Eric Sprott School of Business at Carleton University. "This is not typical Toronto behaviour," he says. "It would not come anywhere near to symbolizing Toronto the way that some of the landmarks or achievements of the city symbolize it." Ford’s story is arguably the most outrageous, but he’s not the only Canadian mayor of late to make a bad impression outside his own city. In the last two years, there have been criminal charges laid against mayors in London, Ont. (fraud), Winnipeg (conflict of interest) and Montreal and Laval (corruption). The conflict charges against Winnipeg Mayor Sam Katz were eventually dismissed by a Court of Queen's Bench judge. 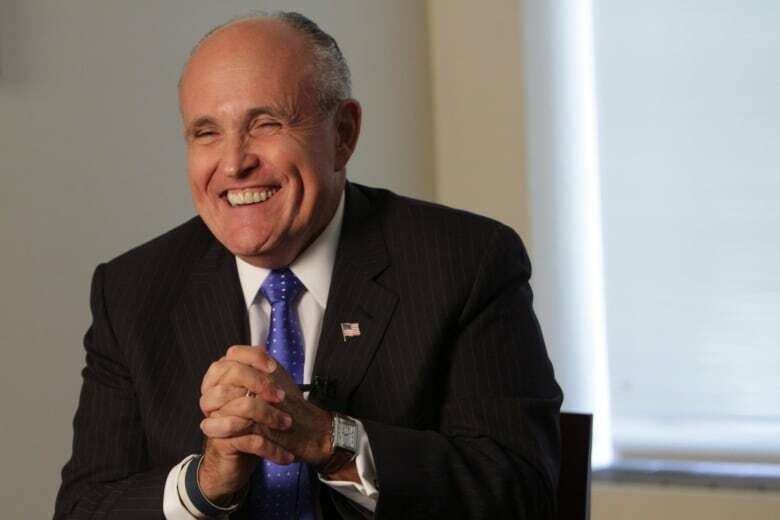 He cites New York’s Rudolph Giuliani, who made great strides in reducing crime and earned the moniker "America’s Mayor" for projecting strength and resolve after the 9/11 attacks in 2001. Giuliani "helped to clean up New York, and so he came to symbolize the place in more ways than one," says Papadopoulos. He doesn’t believe that the Ford scandal will have a lasting effect on Toronto’s cultural and economic health, although he says he would probably reassess the situation if Ford is re-elected in 2014. Papadapolous says the only way that a city’s brand can suffer in the long term is if its citizens elect a succession of bad mayors. He cites the examples of Montreal or Chicago, "where you have a continuous stream of poor politicians, where the issue is not so much the personality of the individual politician but the perception that politics in the city at large is corrupt." Indeed, a city’s brand value does not rest on a single individual, says Alfred DuPuy, managing director of Interbrand Canada. The brand consulting firm, which is owned by Omnicom, publishes an annual report on the world's best global brands. DuPuy says that a city’s brand value is made up of “the sum of all the experiences” that tourists have, from witnessing its visual splendour to sampling its restaurants, shopping and entertainment and interacting with citizens on the street. Given all those variables, DuPuy says a city’s brand is more difficult to pin down than that of a consumer product, like a smartphone, which has a fairly limited function. "You’re going to have certain [people] that define Toronto favourably as a brand because of ABC, and then you’re going to have others that may view Toronto as a brand negatively because of XYZ," he says. Esquire: What the fk is up in Toronto?